For over 10 years, DW Windows have been installing quality double glazing products throughout the West Midlands. With our head offices based in Coseley, we are conveniently located just outside Dudley. Our installation team are regularly working on properties in Dudley, so if you live in the area you’re likely to have seen our work in progress and recognise our company vehicles. From Summerhill to Baptist End we know Dudley like the back of our hands. 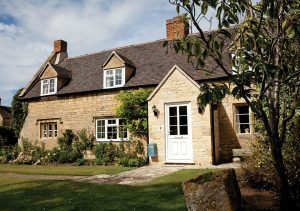 Our extensive local knowledge makes us the best choice when it comes to double glazing renovations. The market town of Dudley was at the centre of the industrial revolution. During the 19th century many homes were built to house the workers in the local iron, coal, and limestone industries. Dudley was so renowned for its industry that it is still referred to today as the capital of the Black Country. During the 20th century, Dudley underwent extensive development with many new homes being built to re-house citizens who’d lost their homes due to World War II bombing campaigns. Today, Dudley offers a variety of property styles making it a popular choice for local families and people commuting to larger nearby towns and the city of Birmingham. Whether you live in a traditional terraced house in Burton Road or Edward Street, or on a modern housing estate off Tipton Road; we have the perfect solution to your home improvement plans. If you want to extend your home we have a range of conservatories and orangeries to choose from. The Livin Room orangery for example is a contemporary extension with plastered perimeter ceiling for a more permanent interior feel. 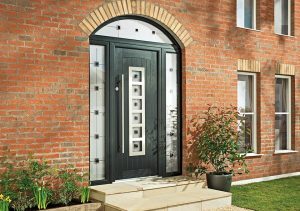 If it’s a new front door you’re looking for; our composite doors use the best in modern technology to create a secure and energy efficient entrance to your home. At DW Windows, we strive for excellence with every installation. Alongside quality products and professional workmanship, we offer the best customer service to everyone we work with. If you live in Dudley and want more information on any of our products and services call us on 0800 9990 909 or send us a message online.